In my most recent article, I described the battle of Cold Harbor as Grant at his worst and at his best. I said enough about Grant at his worst. Now about Grant at his best. He could have sat at Cold Harbor, numbed by a horrible loss, just hoping to keep Lee and his Army of Northern Virginia at bay while Sherman drove through Georgia. But he obviously did not. He remained resilient. In later years, he acknowledged his failure at Cold Harbor. But he aimed to destroy Lee’s army. To do so, he had to stretch Lee’s troops to the breaking point. If Grant could lay siege to Richmond and Petersburg, Lee knew surrender was only a matter of time. Grant did so in a way that in retrospect may be perceived as reckless, but was bold in design and brilliant in execution. On Tuesday, June 7, General Phil Sheridan led two Union cavalry divisions northwest toward Charlottesville. 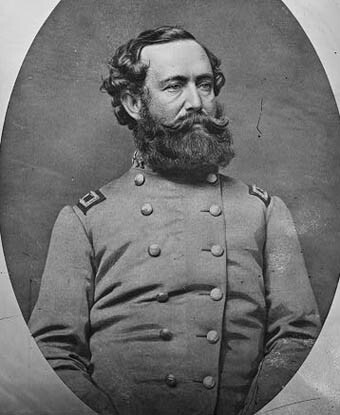 Lee had no choice but to order General Wade Hampton to respond in kind, taking his cavalry to intercept Sheridan. The cavalry served as the commander’s eyes, scouting the enemy’s movements. Without Hampton in the vicinity of Cold Harbor, Lee could no longer keep an eye on Grant. Of course, that was part of Grant’s plan, along with an assault by General Benjamin Butler on Beauregard’s forces at Petersburg. Union army’s deliberate withdrawal from Cold Harbor allowed Grant to “steal a march” on Lee. By Monday, June 13, the Yankees were across the James and Grant had set up headquarters at City Point (modern day Hopewell). Lee could only hope to prevent Grant from overrunning Richmond. Lee did that much, in part because of Union generals’ blunders, but he could not prevent the Union siege that would drive the Confederate army and local civilians to starvation. The South’s hopes now lay in holding out until Tuesday, November 8, the date of the national election. If the South could avoid a major loss before that date, Southern leaders were certain Lincoln could not be reelected and that they could negotiate a peace with Lincoln’s successor. That was a big “if.” Sherman drove through Georgia and the Carolinas and Sheridan laid waste to the Shenandoah Valley. By Election Day the only question was Lincoln’s margin of victory. Grant, Ulysses S. The Personal Memoirs of Ulysses S. Grant. New York, New York, 1886 (republished by Konecky & Konecky, Old Saybrook, Connecticut). This article follows up on “Bloody May,” an earlier article about Union General U.S. Grant’s campaign to destroy Confederate General Robert E. Lee’s Army of Northern Virginia. With losses considerably reduced in the second half of May when compared to the first half of the month, Grant succumbed to battlefield hubris. Lee by necessity had refused to fight Grant out in the open where he would be crushed by superior numbers and artillery. Lee’s men had become experts with the shovel, entrenching as they retreated. Lee now hoped an overly eager Grant would attempt an assault on his lines. On Wednesday, June 1, General Sheridan’s cavalry, with infantry support from General Wright’s Sixth Corps and General Baldy Smith’s Eighteenth, held Cold Harbor, a place so named for an inn that offered travelers a place to rest but no hot food. Hancock’s men arrived at 6:30 the next morning, exhausted from an overnight launch. Grant wanted to launch an attack against Lee upon the arrival of Hancock’s troops, but decided the soldiers required rest. The lull allowed Lee additional time to entrench. Along a seven-mile line, Lee’s men dug trenches and laid log and earth barriers. They stacked logs with openings at eye level every few feet, such that a soldier could stand and fire his rifle with little danger of being struck by return fire. The Federals would have to cross open fields or boggy terrain and then up a hill to reach the rebels. If Grant dared order an attack, he could expect the same fate as Pickett’s men at Gettysburg. Grant ordered an attack, to begin the next morning at 4:30. Sixty thousand Union soldiers would charge the entrenched Confederates. 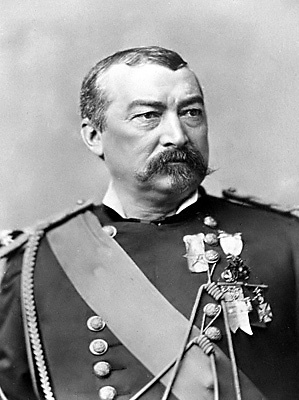 While Meade had issued a circular requiring commanders to examine “the ground on their front and perfect the arrangements for the assault,” the commanding officers made no effort to reconnoiter the enemy’s position to gain information about the strength of their defenses. The slaughter took only eight minutes. Hancock’s men caught enemy fire directly ahead and on their left. Confederates poured cannon and musket fire on Smith’s right and straight ahead. Wright’s men suffered most of all, suffering a blistering enfilade on both flanks and directly in front of them. The dead lay in windrows before the enemy. The survivors used cups, spoons, and bayonets in an effort to put earth between them and the rebels. Seventeen hundred men lay dead. Another 9,000 lay wounded on the field, expecting their commander to request a truce so they could be retrieved from the field. For the next four days, the Union Army witnessed Grant at his worst. “Unconditional Surrender” Grant had never suffered an acknowledged defeat on the battlefield. He was not about to acknowledge one now. Lee had suffered few losses and all of them lay behind his defenses. Only blue uniforms lay on the open field, vulnerable to sharpshooters from the gray ranks. Grant asked Lee for a truce, implying the battle had been a draw, so that both sides could recover their dead and wounded. Lee would have none of it. Grant persisted, asking that Lee demonstrate humanity toward the “suffering from both sides.” Finally, on Tuesday, June 7, Grant acknowledged the Union defeat and Union soldiers recovered their brethren under a flag of truce. Only two Union soldiers remained alive on the field. Any other survivors had crawled back into Union lines under cover of darkness. For many, the delay had sealed their doom or cost them an arm or a leg from prolonged exposure. For all of them, Grant’s pride had inflicted unnecessary misery. This was Grant at his worst. He and his army would recover, however, and demonstrate Grant at his best. That is for another article. Ferguson, Earnest B. Not War But Murder, Cold Harbor 1864. New York, New York: Alfred A. Knopf, 2000.